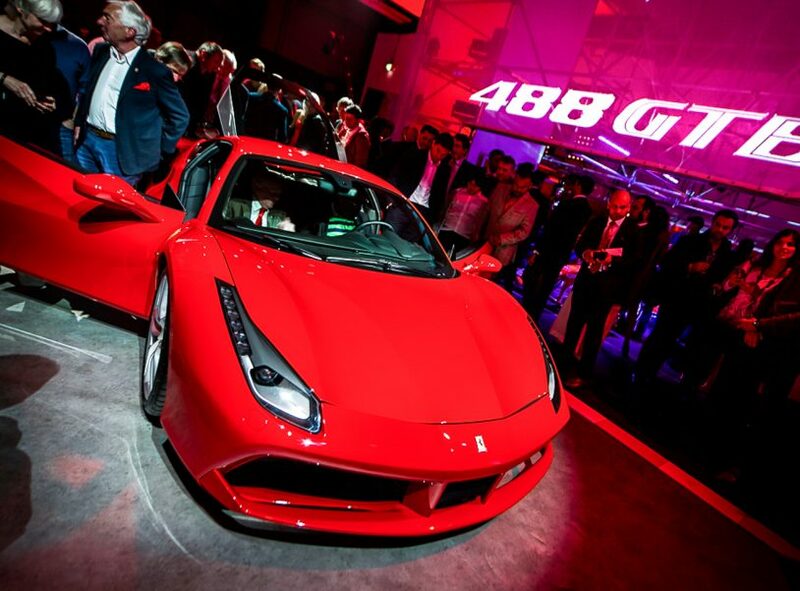 The Sorting Office was thrilled to host the grand unveiling of Ferrari’s mid-engine V8 supercar, the 488 GTB. 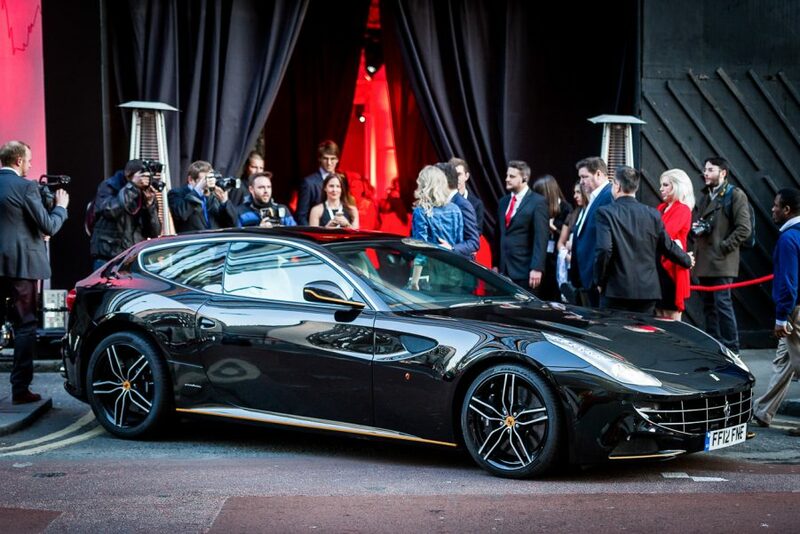 At what was a star-studded and highly-exclusive event, nearly one thousand high-profile guests flocked to our giant industrial space to celebrate the launch of this stylish new automobile. 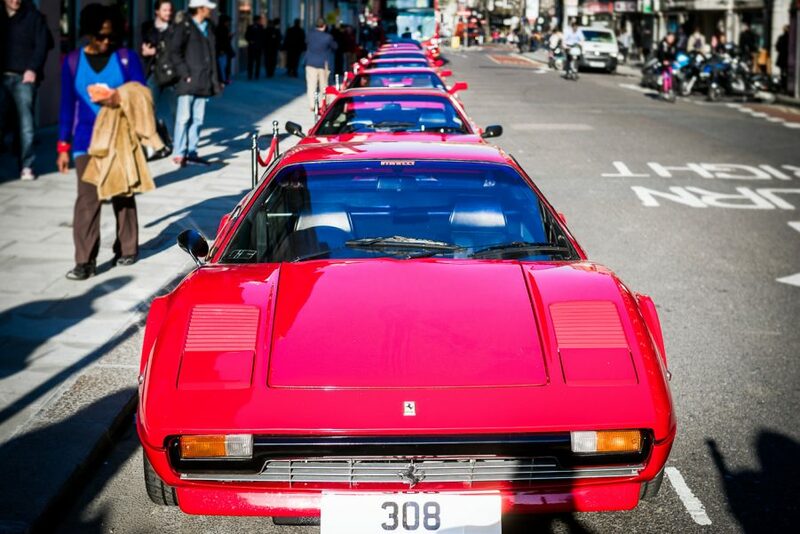 Donna Air, Mary Charteris and Jade Pafitt, alongside other VIP’s, joined selected press and the Ferrari’s coveted client list. 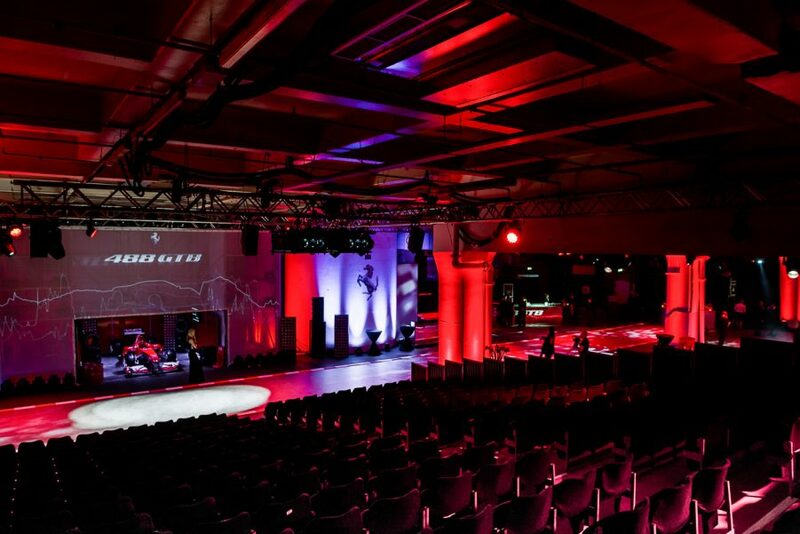 Francesco Balli, Regional Manager of Ferrari North Europe, commented that: ‘It has been a fantastic opportunity to share this evening with so many passionate Ferrari clients at one of London’s coolest venues’. 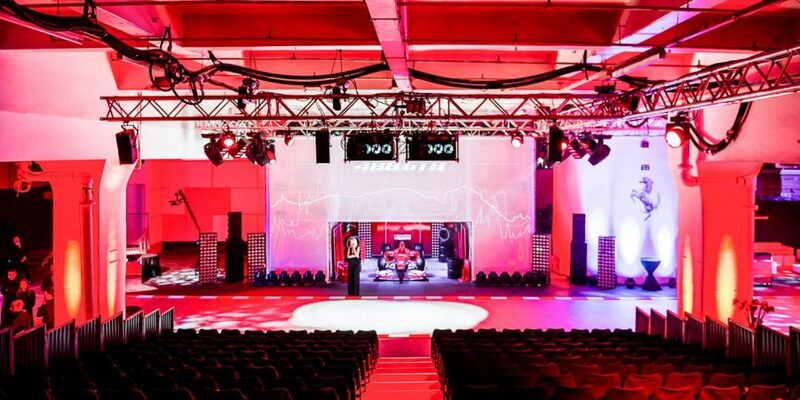 Guests were seated in a track-style grandstand and were treated to an unforgettable performance that featured 3D laser mapping and exclusive video footage of the highly-anticipated new model.